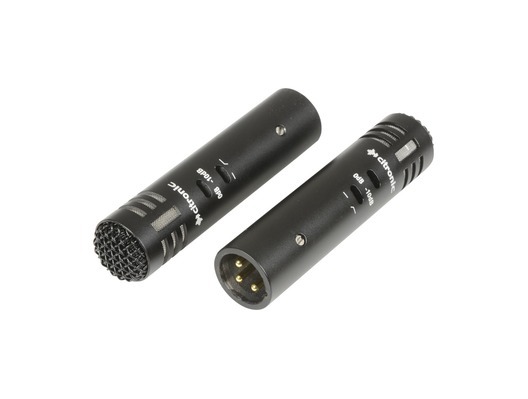 This great value Citronic ECM-2 Condenser Microphones that come as a stereo pair. A pair of great sounding miniature cardioid condenser microphones with compact dimensions and ultra-high sensitivity. Applications include recording in stereo, overheads for drums and drop mics for chorus sections.